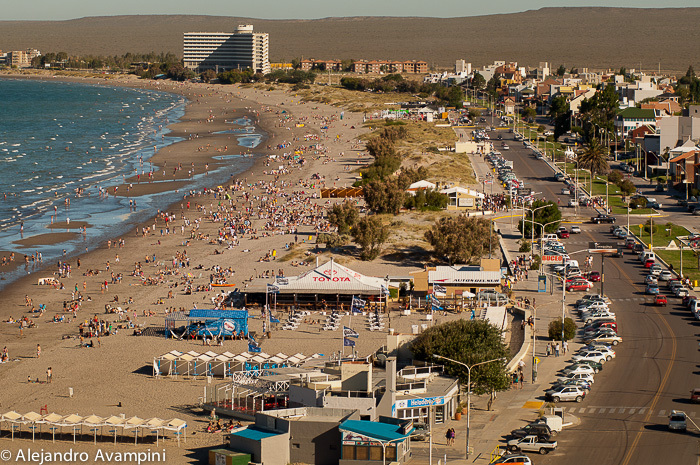 Puerto Madryn is a Young city with only about 85,000 habitants. 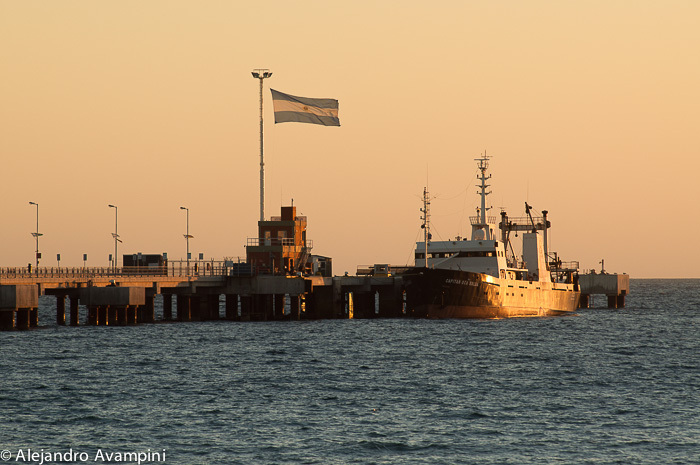 For those of us that live in Puerto Piramides, 100km from this beautiful city, its presence is indispensable, providing the logistics of supplies for the services offered in our ¨pueblo¨. Energy and part of our potable water supply comes from this city as well. For the most part, those of us that live in the tranquility of Puerto Piramides, inside of the Valdes Peninsula Protected Nature Reserve, make weekly pilgrimages to the city for provisions, banks and paperwork, before returning to this natural paradise. On July 28th, 1865 a group of 150 Welsh immigrants stepped down from the sailing vessel ¨Mimosa¨ on the shores of what is now Puerto Madryn. This is the date now understood as the founding of the city, and its name, in homage of Loves Jones Parry, the Baron of Madryn at that time in Whales. The calm protected waters of the Golfo Nuevo came as the invitation for the naming of this port city. 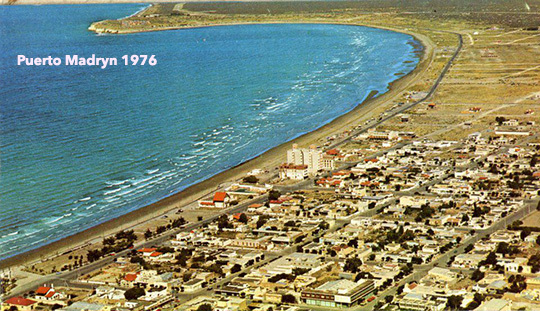 Being the principal port of commerce for the region, Puerto Madryn was home to the central train station of Chubut from 1890 to 1961, converting this small port town into a cosmopolitan city with inevitable plans for future growth. The city grew primarily around the activities of the port and train station, as well some commerce and services. National and international politics have complicated the systematic growth of the area. While some aspects favored the establishment of factories others brought about an end to regional transportation and communication, as was the case with railway service. Today turned into Historical Museum, the railroad station shows a sample of a not so distant past. 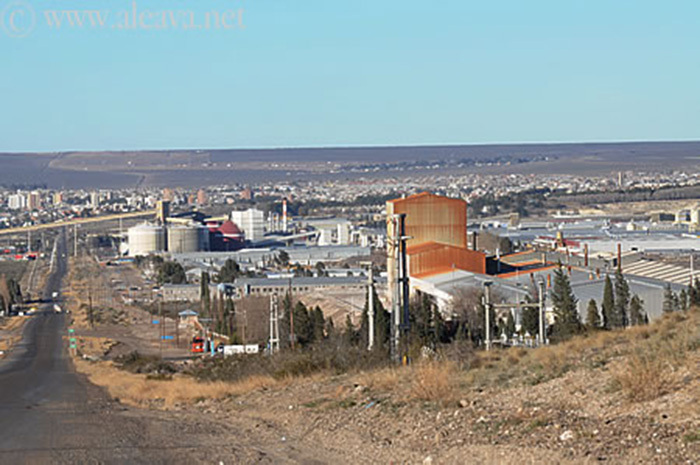 In the 60s several textile industries set up shop in Madryn due to certain tax exemptions, though several years later they all closed, producing a decrease in the local population, many moving away due to a lack of work. 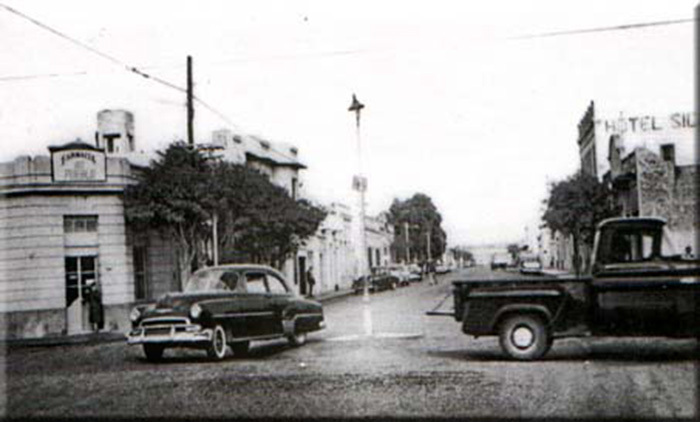 In the 70s the urban structure of Puerto Madryn had not changed, but all the railway installations were abandoned. The activities that had given birth to this port city had practically ceased to function, leaving a gap that would not take long to fill. A new industry was just around the corner, and it promised work for the entire city. With the arrival of Aluar and its aluminum production plant, together with its new pier and industrial port in the 70s, there was an explosive increase in the population. 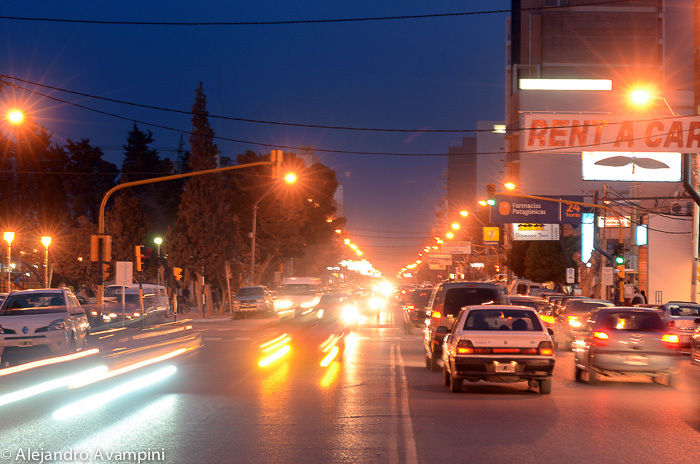 In a matter of less than 10 years Puerto Madryn´s population was tripled. Other industries joined in the expansion creating even more growth with families arriving from every corner of the country. On the other hand, a new tendency was taking form in the province of Chubut with respect to environmental protection and the beginnings of a new work force in the area of Eco-Tourism. Thanks to a group of people who saw the unique nature of the region as a resource worthy of protection, Chubut became a pioneering province in the area of nature reserves. Over the course of a few years, several key regions received the status of protected or intangible areas. On the 29th of September, 1967 the Nature Reserve at Punta Loma was established. This was the first nature reserve to be established in Chubut and just 17km from Puerto Madryn, its two observation platforms allow for the unobtrusive observation of Sea Lions. The Punta Loma Nature Reserve also has a very interesting interpretive pathway for the identification of local flora. Although short in stature, the flora of the Patagonian Steppe is extremely varied with many plants that take decades to grow just a couple of meters. 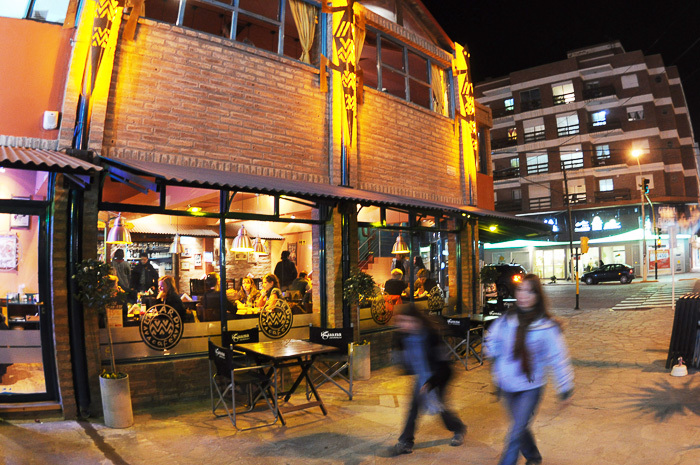 Tourism is a relatively new industry but in the last 30 years Puerto Madryn has continued to invest more and more in installations, locatuins and activities for visitors. Many adventure activities go hand in hand with the desire for contact with nature. Mountain biking, Boat tours, kayak excursions and 4×4 tours have become par for the course. The ocean is the great attraction and Puerto Madryn offers a permanent invitation for contact with the sea and enjoy excellent holidays. 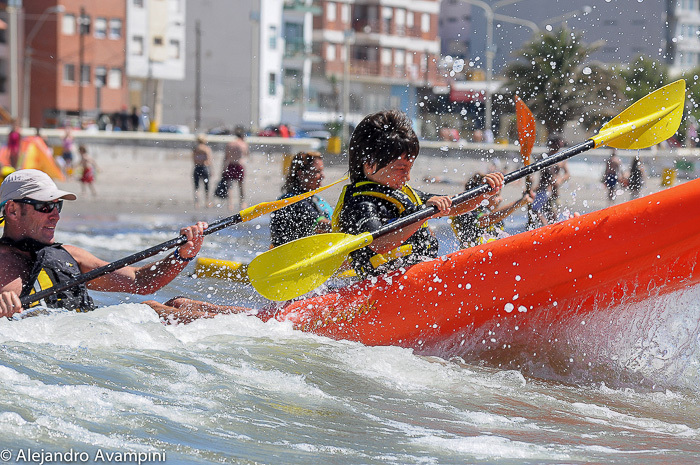 During summer months the ¨Ocean School¨ provides, for all ages, Kayak, Stand-Up, Windsurf, Kitesurf and Scuba classes, as well as a children´s summer camp. A couple of times each year the local yacht club (CNAS) organize regattas with the participation of local, national and international sailors.Contact with the sea during any of the mentioned nautical activities is an excellent option, but not the only way to enjoy the ocean. A tour of the Doradillo Beach during Whale season is a must and offers one of the most amazing and unusual natural events that exist. In complete harmony with their surroundings, dozens of whales, with their new born calves, can be observed right next to the coast as they teach and nurse the young. 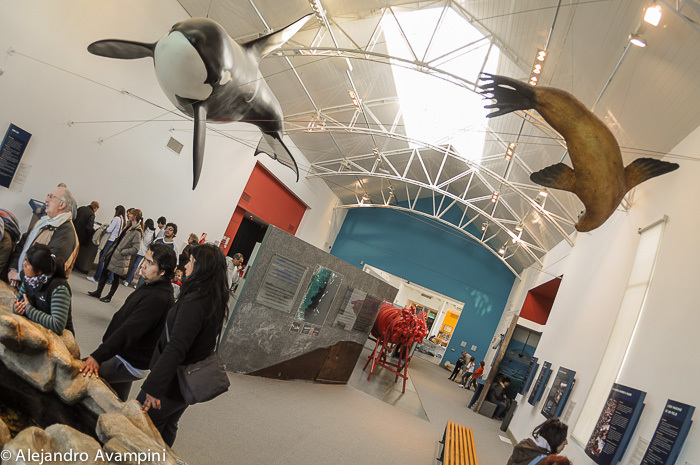 Puerto Madryn also offers an excellent museum circuit for a better understanding of the natural world that surrounds the area, with graphics, presentations and installations. One such museum is the Ecocentro, a place well worth visiting, where hands on activities provide a better knowledge and perception of the natural world generated by the sea and its tides. Having opened its doors at the beginning of this new millennium, the Ecocentro houses several different displays, expositions and replicas of local fauna, interactive monitors and models for better understanding the tides and the infinite world that depends on these tidal shifts, and much more.Their excellent conference rooms provide a continuous circuit of presentations, exhibitions and conferences keeping the theme of our oceans protection close to the surface. Another option is the Museum of Man and the Sea, often referred to as the Pujol Museum. 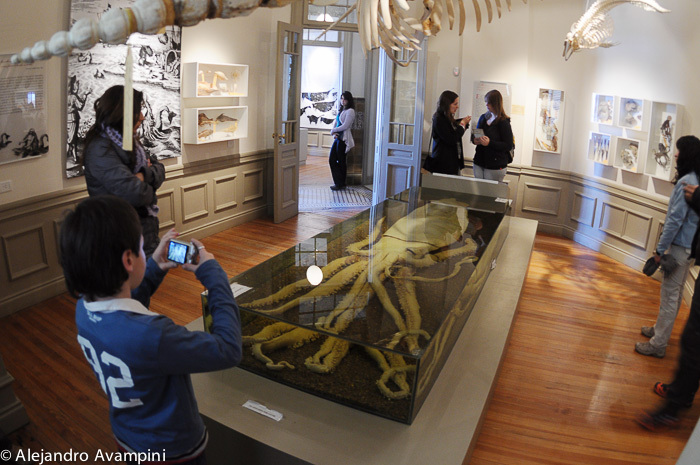 Aside from several well presented skeletons and other displays the center attraction is a Giant Squid preserved for close observation. 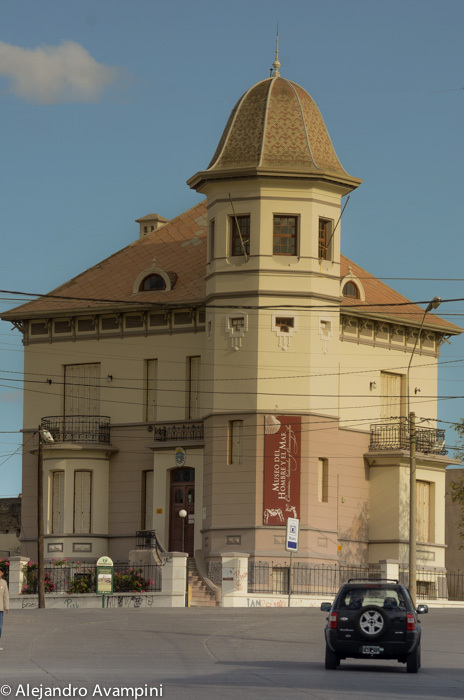 The castle Pujol is one of the first buildings of the town of Puerto Madryn, was built a century ago by Agustin Pujol who was a Spanish-based trader, for several decades in Argentina. After he and his wife died, the family decided to donate the house to the Museum of Natural Sciences and Oceanographic. For a feel of the Patagonian Steppe, keep in mind that with each excursion you make, the local guides from the area will offer pristine moments, with a true sense of immense space, far from the bustle of humanity. Adventure tours of the Valdes Peninsula not only originate in Puerto Piramides, a tiny town with a population of just 400 and located within the Nature Reserve. 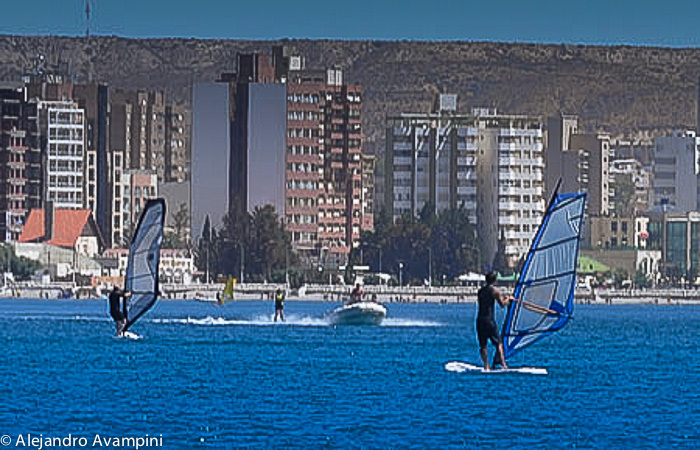 Puerto Madryn also offers a large array of adventure tourism. 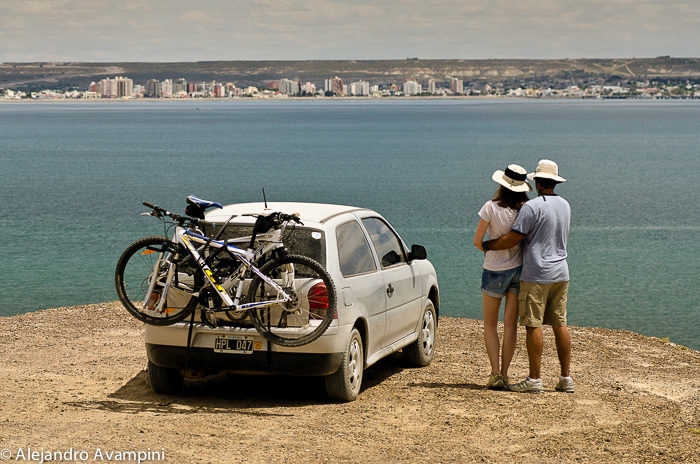 An interesting option in Puerto Madryn is offered by ¨Costas de la Patagonia¨ with daily excursions. 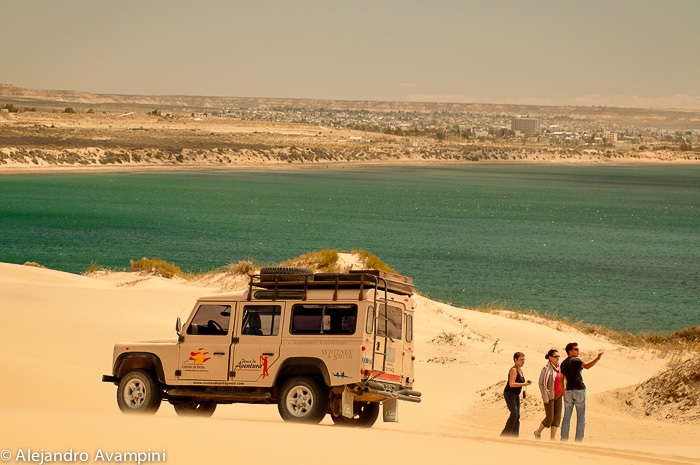 A 4×4 tour through the arid trails between cliffs and sheep ranches takes a visitor from the points of interest of the city south along the coast, past the monument to the Tehuelche Indians, the Ecocenter and the horse tracks. From this point the city disappears in the rearview mirror and the Patagonian Steppe takes over with its immense scenes of solitude and infinite landscapes. The local geography rich in fossil remains and legends frames this uncommon excursion in a mystic halo. In the last decade Puerto Madryn has become a destination for cruise ships touring the southern waters of Chile and Argentina increasing tourism for days of each month. 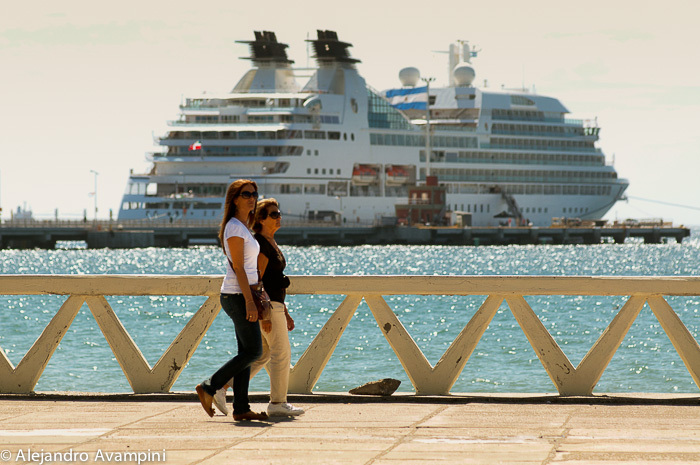 The cruise ship season begins in September and lasts until the end of summer. For the most part the local climate is arid with little rain, winds are common, but sunshine is almost always on the menu. Without a doubt this is one of the best places in the world to visit from the months of September through April. During time frame is when the immensity of nature shows its true colors with an abundance of species, amazing numbers of individuals, unique behavior, adventure and the warmth of the local population. 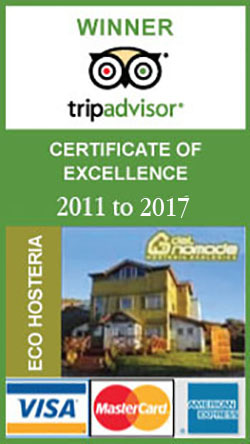 The winter months are usually not so comforting.For this reason ¨Del Nomade¨ Eco Hotel, in Puerto Piramides, opens its doors during the best time of the year, mid August, inviting visitors when the animals and the conditions are at their most pristine in the World Heritage site that is the Valdes Peninsula. 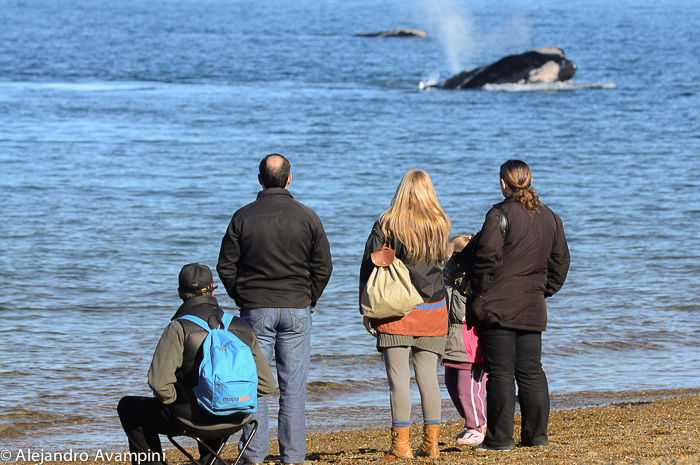 We recommend that you visit the Valdes Peninsula from the peak season of the Southern Right Whales through the end of Orca season in April. During the months of May through August adverse climactic conditions are in general less attractive. Shorter days, cold, rain and strong winds are par for the course making it the best time to avoid the Peninsula. The remaining 8 months of the year make this an excellent destination. Here I have provided 3 videos. 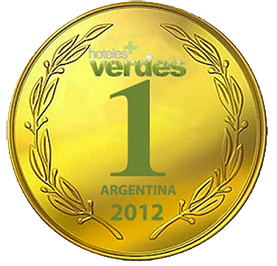 The first is a series of images of Puerto Madryn accompanied by information for the visitor. The second is a more artistic video, bringing to the forefront the natural beauty and attractive points of interest in and around the port city of Puerto Madryn.